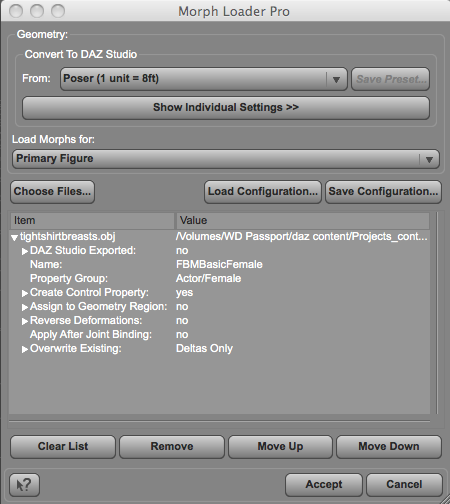 Although the Transfer Utility... provides a basic rig for figures, and DAZ Studio 4 will automatically add morphs to conformed figures to match the supporting base figure, sometimes the morphs it creates are not sufficient for a quality result. 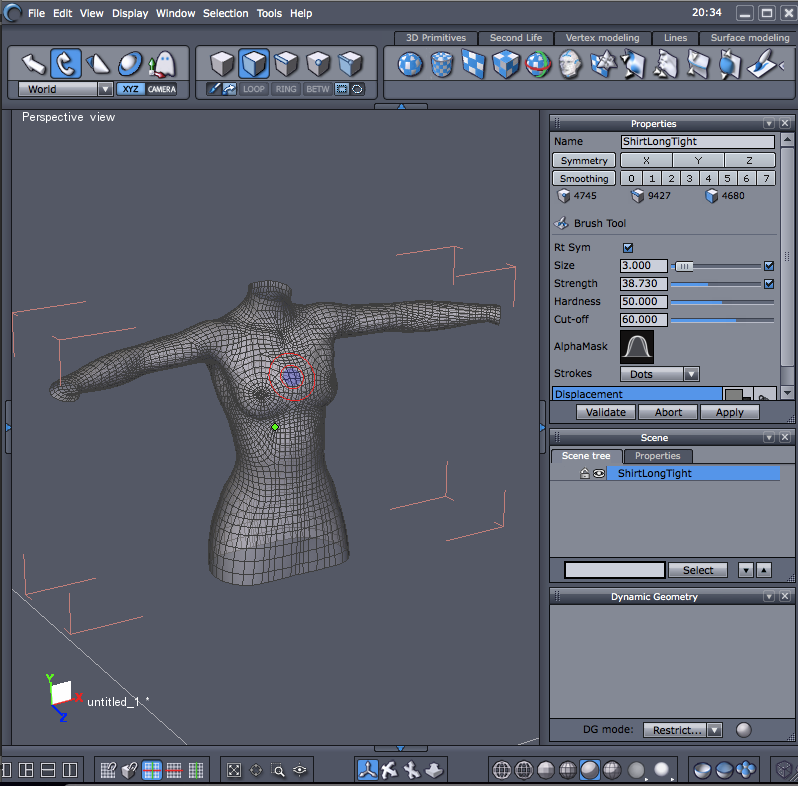 In this tutorial, we cover how to modify the morphs created automatically by DAZ Studio 4 using an external modeling program such as Hexagon. Morphs in DAZ Studio 4 are essentially sets of “Deltas,” or differences, between the vertices in the original mesh, and the vertices in a modified, or “Morphed,” version of the mesh. There are many ways to create morphs, but one of the most common is illustrated here. The whole mesh is exported, the mesh is edited in a modeling program to move some of the vertices, and then just the deltas are re-imported using the Morph Loader Pro... action. By exporting mesh that is already morphed, and importing using exactly the same name as the existing morph, the import can change the existing morph, rather than creating a new one (which is also possible, of course). 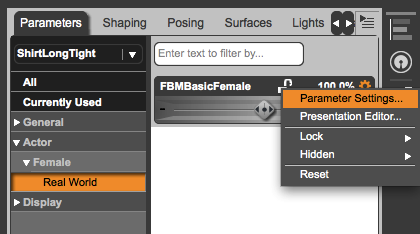 Because morphs as displayed in DAZ Studio 4 may not show their internal names, you will need to use the Parameters tab to access the name string you want to replace. 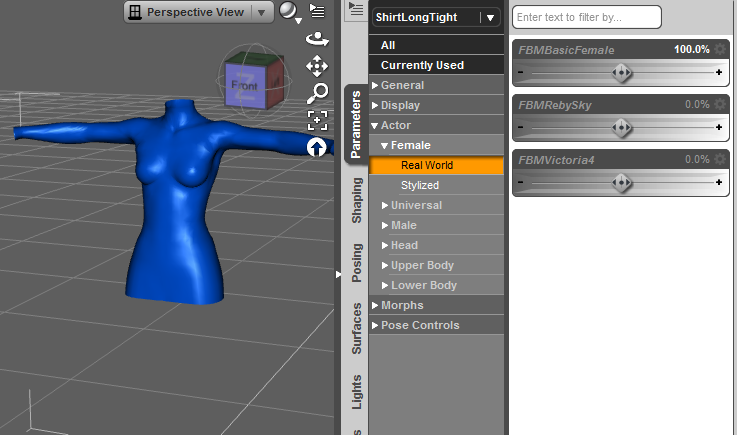 In this example, we'll export the Basic Female FBM (Full-Body Morph) to improve the drape between the breasts. 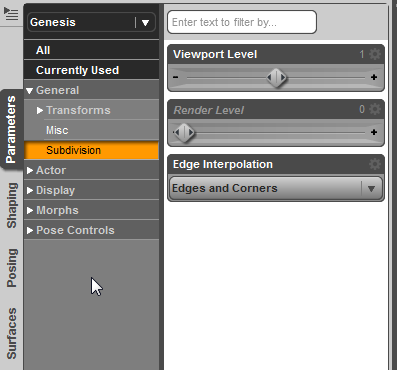 Export the altered mesh as a new OBJ. select the clothing item you wish to edit and then hit the send to hexagon link. This will then send that item (along with anything parented to it) to hexagon. When returning, make sure the item to receive the morphs MUST be selected when importing or sending back from Hexagon. If you wish to edit around the figure itself, then Genesis should be selected vand sent to hexagon. The figure will then arrive in Hexagon with any fit to/parented items. However, in this particular case, the user MUST make sure that the item they are editing is selected in the scene pane BEFORE sending from hexagon to DS or it won't work. 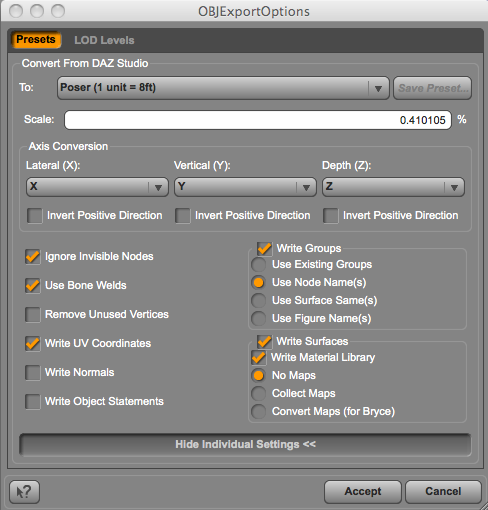 Return to DAZ Studio 4, and be sure the morphed item (with morph dialed up) is selected. Overwrite Existing: Deltas Only - this modifies the existing morph, rather than replacing it. Save result as DSF Figure/Prop in a Content or My Library directory. This process is specific to each Shape of the figure the clothing is conformed to, i.e. 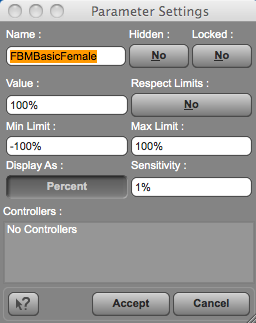 if you begin working from the Genesis Basic Female shape, Basic Female is the only morph that will be affected (unless there are other shapes that are dependent on Basic Female).